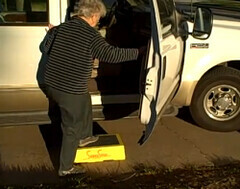 Can You Use A Safe Children’s Step Stool for Seniors? Step stools that are designed for kids to use come in all sorts of shapes and sizes. But they are really are designed with a child in mind. The step stool is usually small, so a child can move it. The kids step stools can come with Disney carton characters plastered on them. 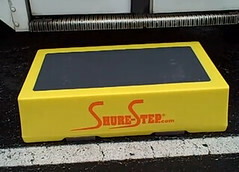 There are some step stools that actually change from a step to a chair or fold up for storage. These children’s steps are made to appeal to kids and they aren’t very expensive. Which brings me to my next point, just because these step stools are inexpensive don’t buy and use them for any other purpose than what they are designed for. Kids! Seniors are not children, Even if they sometimes act like it! 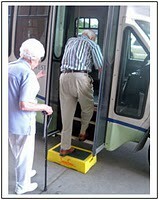 Senior citizens have special needs when it comes to choosing a step stool. So don’t let price be the leading factor when choosing a step stool for a senior loved one. First you must understand what your loved senior is trying to do with the step stool. Are they trying to get into a vehicle, are they wanting to get into bed, step up into a tub? Seniors needs are very different from kids. So don’t hurt a loved one by getting them the wrong tool for the job. 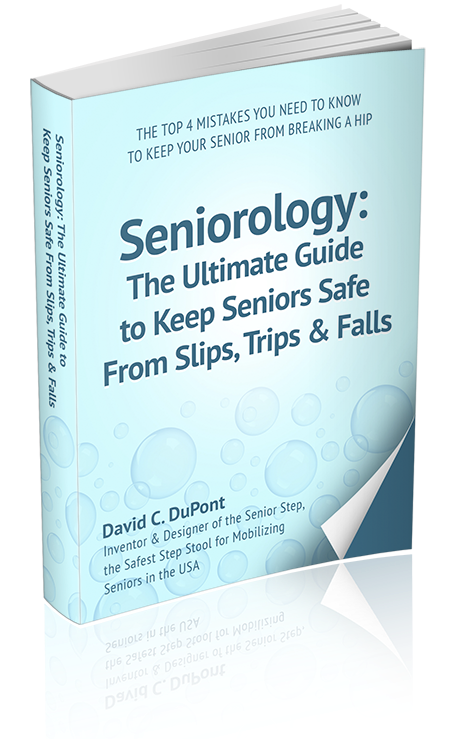 Seniors need to be able to see their step stool. If they have impaired vision a small children’s step stool might be too hard to see. Seniors need a large surface area to stand on. This way if they are a little unstable the large surface may keep them from stumbling off the edge of the step stool. And the last thing you really need to be careful about when researching step stools for seniors is the load rating. Make absolutely sure it is rated high enough for your loved one. 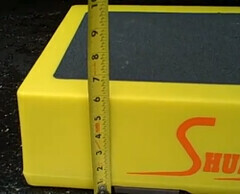 In your quest to find the correct step stool for your specific purpose be sure to measure the distance between where your loved one is going to step up. 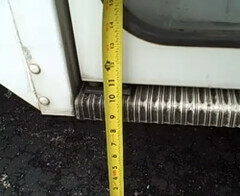 What I mean by that is, if your loved one is trying to step up into your SUV or truck, measure the distance from the ground to the floorboard and try to find a safe step stool that is as close to ½ that distance as you can. This will make it and even step up to the step and then into your SUV.